Cha-Tay Industrial Supply, Inc. was founded by Charles Taylor in 1971 making us one of the oldest Industrial Distributors in South Carolina under the same ownership. The idea was to provide superior customer service, build relationships, become a business partner and, as Charlie always says, “help the customer”. Over 40 years later the mission is still the same, Cha-Tay Supply still offers the same great customer service and support by providing the finest products in metal cutting tools, industrial abrasives and related metalworking supplies and the knowledge to apply them. We are Upstate South Carolinas oldest distributor of 3m Industrial Abrasives and Scotchbrite Surface Conditioning products. 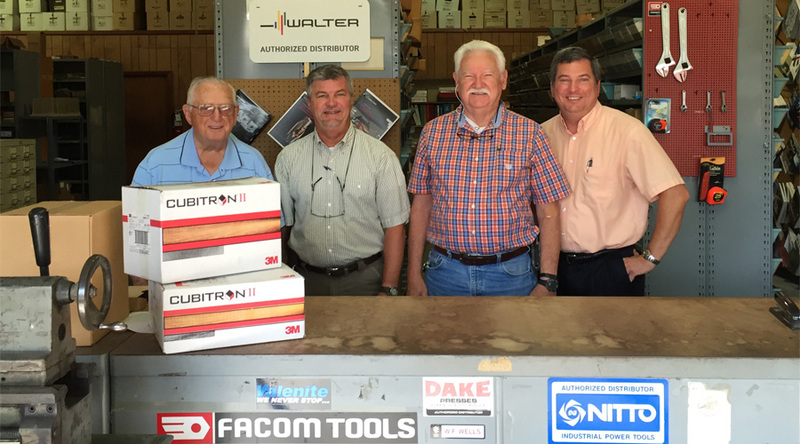 As a former Valenite carbide distributor, we are now proud to offer Walter/Valenite, Walter/Titex and Walter/Prototype tooling and accessories. Originally a Union Twist Drill distributor, we are now one of the oldest distributors of Dormer Pramet cutting tools. We’ve been here for a long time, and we’re still here for a reason. Give us an opportunity to show you what we have to offer.